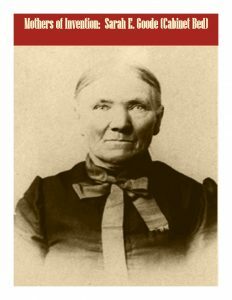 She was born Sarah Jacobs to parents Oliver and Harriet Jacobs of Toledo, Ohio in approximately 1855. The family was enumerated in the 1860 Census in Toledo and listed as being of the Mulatto race, and Oliver was a carpenter. By 1870 the family had migrated to Chicago where Oliver was still employed as a carpenter. Sarah was fifteen years old that year and by the 1880 census she had married Archibald Goode, he employed as a stair builder. This article is no longer available for free on this site. It has been enhanced with footnotes and sources and is available for purchase in the magazine store as an Individual Article.